Intel Core i7 9700K, S 1151, Coffee Lake Refresh, 8 Core, 8 Thread, 3.6GHz, 4.9GHz Turbo, 12MB, 1200MHz GPU, 95W, Box is rated 4.8 out of 5 by 6. Rated 5 out of 5 by Matty2013 from Worth every penny Decided to change from a Ryzen 7 2700, it's a lot better and smoother gameplay, I thought about the 9900k but it's pretty much the same results when it comes to gaming, it was cheaper and just as good. Rated 5 out of 5 by Allanp from Great upgrade Updated from a 4690k and this has made a massive difference to games that were before hitting a CPU bottleneck. I can now play anything with minimal CPU usage. Rated 5 out of 5 by Warbs from Powerful CPU This CPU is great, i am not a guru when it comes to all the technical stuff such as benchmarks etc but what i do know is that this CPU is a monster! 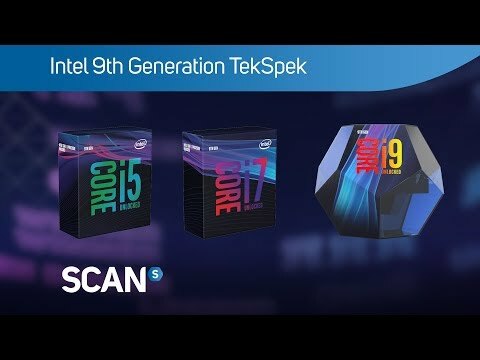 Rated 5 out of 5 by TJ31 from Does what I expected I've been thinking for about a month between the 8086k and the 9700k. Both cpus can reach 5ghz which was my goal but because of the soldered IHS I went for the 9700k. I made a very good choice,if you like to run your cpu cool as possible in your custom loop,go for this one. Mine with one ek monoblock on 5ghz never passing 72deg in any test or game and I'm taking about one or 2 core,the rest is maximum mid 60s.